Signs of Spring in the sky on Cape Ann MA. Beautiful skies, perfect for being outdoors! 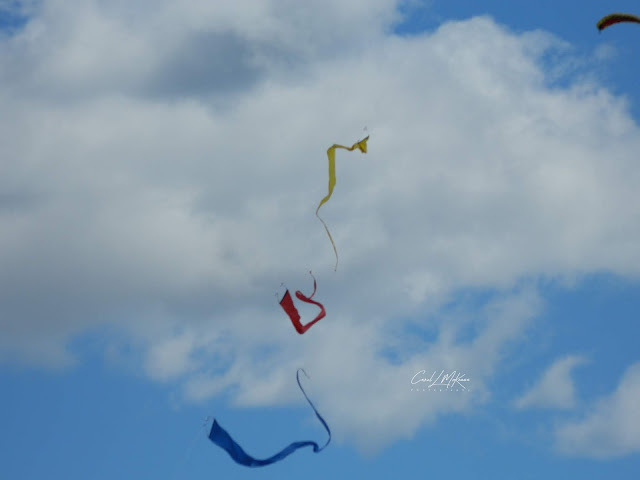 I just love kites. They are so colorful. It looks like things are warming up where you are. Give Zoe and extra hug for me. Love the kites and pretty sky. Enjoy your day, have a great weekend! I love coming over to see what you've captured to post. Signs of spring indeed. I'm starting to see the same kinds of signs. It makes my heart happy. 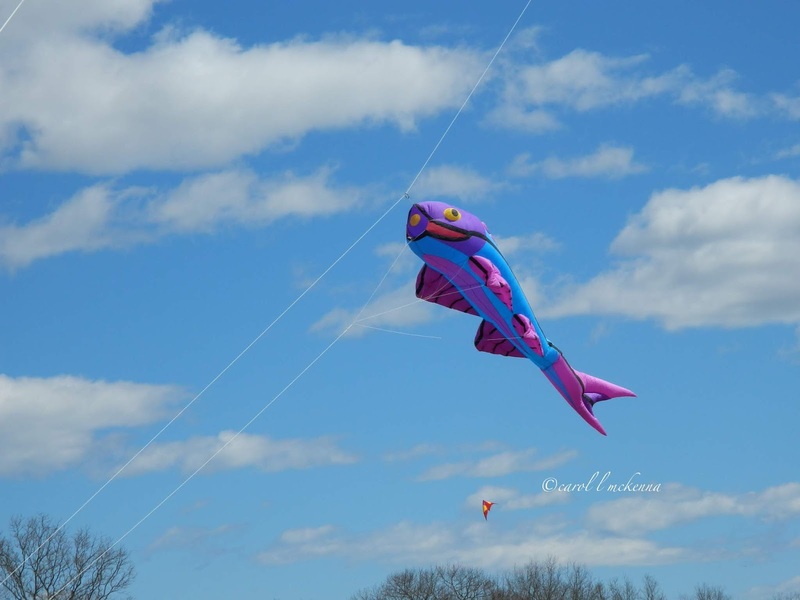 I've never flown a kite myself but i love seeing all the creative designs people use. Wishing you well my friend. Wonderful skywatch captures!! Have a great weekend.